We’re hosting two seed saving workshops at the end of September. 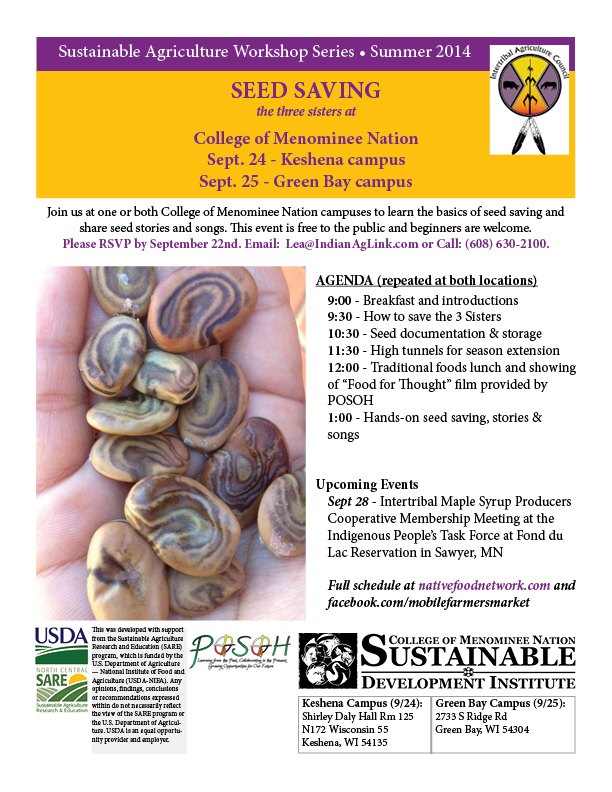 One is at College of Menominee Nation in Keshena on Wednesday, September 24th and the second is the next day at the college’s Green Bay campus. This entry was posted in Event by Dan. Bookmark the permalink.